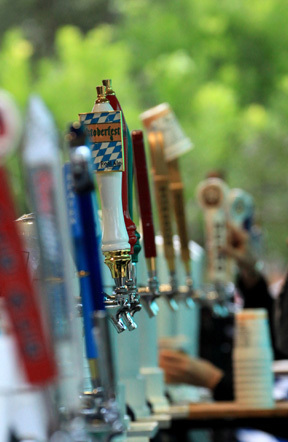 Wildflowers, wine, beer and history abound in the home of Texas German. Iche hebe meine Augen auf zu den Bergen, von welchen mir hilfe kommt. I stepped back from the faded and warped wooden plaque hanging in the farmhouse kitchen and frowned. A light flickered dim in the depths of my memory, illuminating shreds of rudimentary German. I will lift mine eyes to the hills, whence cometh my help. It was a Psalm, the 121st, the right Psalm to be hanging on the wall of an old farmhouse near Fredericksburg, Texas, the nucleus of German immigration to the Hill Country. It was the right Psalm, because it testifies still how these sojourners must have lifted their eyes for help – help carving out a new home; help singing the Lord’s song in a strange land, with its peculiar foliage and odd beasts and lumpy hills and all manner of novel hostilities. Help to fight bravely against what must have been a crushing homesickness. But carve and sing and fight they did, and Fredericksburg, founded in 1846, slowly began to take shape amidst the rugged hills of Central Texas. Before too many years had passed, the enterprising Germans were promoting their town’s European heritage. 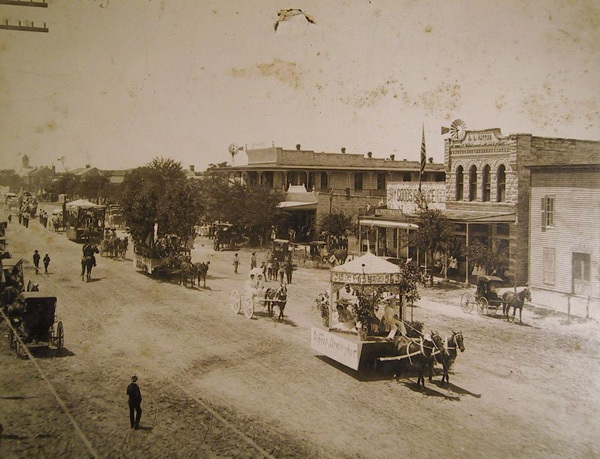 By 1876, a stagecoach proprietor carted tourists from San Antonio to Fredericksburg, lured by the city’s Teutonic flavor. 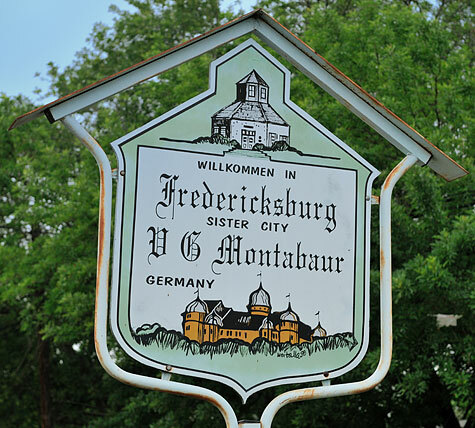 Over a century later, there is still plenty to see on a weekend visit to Fredericksburg. 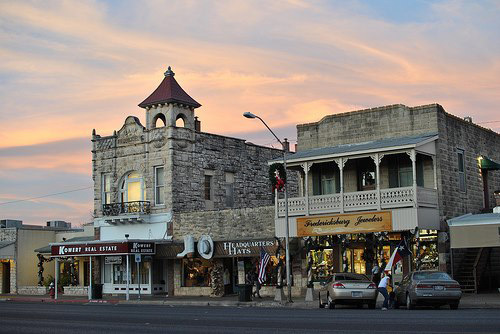 Albeit not a stagecoach, my family’s small white Acura wound the 70-odd mile trip west of Austin through hills and valleys towards this quaint town near the banks of the Pedernales River. We began our exploration downtown, in the nerve center of the old settlement. There we wandered the gardens of the Marktplaz, verdant in late summer, and saw statues commemorating the peace treaty between Germans and Comanches. 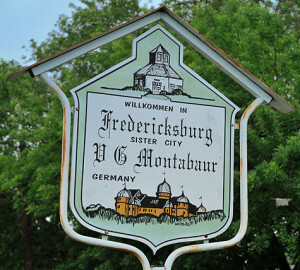 Among the flowers stands a reproduction of the 1847 Vereins Kirche; once Fredericksburg’s first civic and religious building, the octagonal building is now part of the larger Pioneer Museum complex. The next day, we left the city limits for bucolic Gillespie County. Our beautiful drive to the Lyndon B. Johnson State Park on US-290 was lined with countless peach stands, wineries and Wildseed Farms. First stop: the Sauer-Beckmann farm, located in the park. Replicating a turn-of-the-century German farm, Sauer-Beckmann is populated by reenactors who spin cotton, can produce, feed animals and stoke fires. Our 4-month-old was one of many children who enjoyed the bustle of old-time farm life. 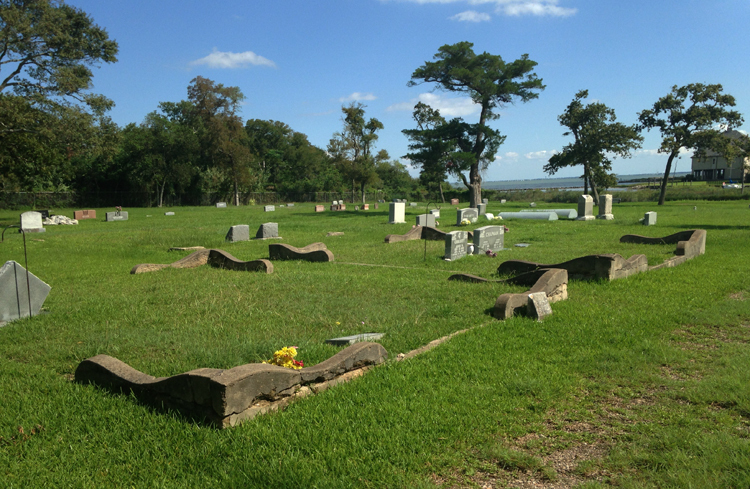 The Gillespie County Historic Schoolhouse Trail, also a short drive from Fredericksburg, provides a stirring testament to the immigrants’ commitment to education, even in the stark wilderness. In addition to these year-round attractions, like a more dignified New Orleans, Fredericksburg boasts a storied tradition of annual festivals. Once marked by the sounds of brass bands and German singing societies, contemporary events now feature the region’s wine, food and art. A highlight of our August trip was the long-running Gillespie County Fair, with its quilt exhibits, livestock show and horseracing. Upcoming fall events include Oktoberfest, Texas Wine Month Trail, Texas Mesquite Arts Festival and the Fredericksburg Food & Wine Fest. And in early December, the Markplatz will once again host the city’s annual St. Nikolausmarkt, a riff on the grand European tradition of outdoor Christmas markets. Fortunately, accommodations have improved since Fredericksburg’s founders pitched camp amidst a grove of live oak trees and roasted an inaugural meal of panther and bear. 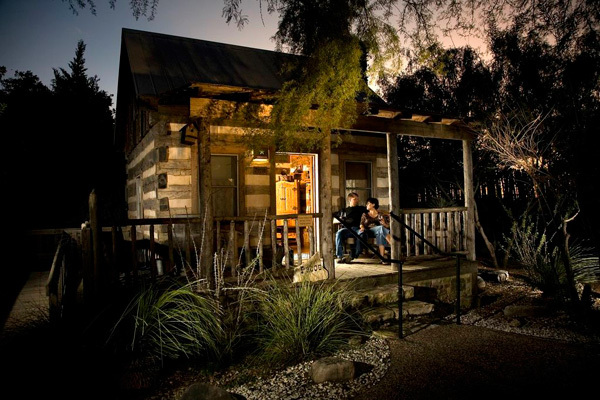 We rented a 19th century cabin decorated with southwestern memorabilia at Cotton Gin Village (pictured below), across Highway 16 from the Gillespie County Fairgrounds. 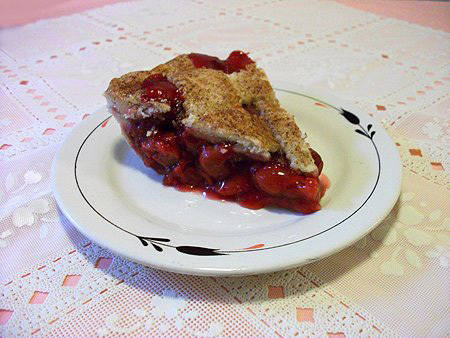 Our bear-free recapitulation of pioneer life began with a breakfast of fresh granola and pastries, and evenings were spent on our tiny front porch, gazing up at the big, bright stars. For dinners, we walked to Cabernet Grill, located in a renovated cotton gin a few steps away from our cabin. Its menu of southwestern fusion fare offers particularly good Gulf-sourced seafood. Despite the warmth, we made s’mores twice in the gigantic fireplace with ingredients and firewood stocked in the cabin. On a separate trip, the Queen Anne Bed and Breakfast, a 1904 Victorian house within walking distance of downtown, gave us a taste of early “in-town” life. With its antiques, excellent breakfast served in an elegant dining room and small cottage spa out back, this Main Street B&B offers a more sophisticated, cosmopolitan version of Fredericksburg’s past. 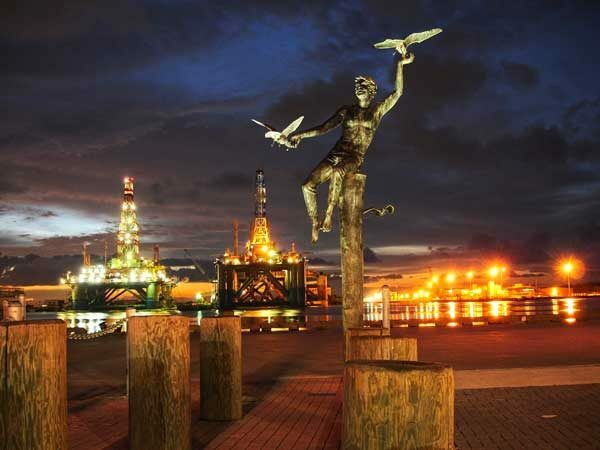 In 1895, the Galveston Daily News described Fredericksburg as “one of the quaintest little towns in Texas,” adding that “it does not flaunt its attractions, but you must find them out, and you are rewarded for the search.” While much has remained the same since those words were written, much has also changed. The region’s distinctive Texas German dialect is fast fading, and the sounds of brass brands no longer waft down Main Street. But new rituals spring up, and the town’s heritage is all at once transmuted, rediscovered, lost, and found each time a new tourist wanders through the Marktplaz. 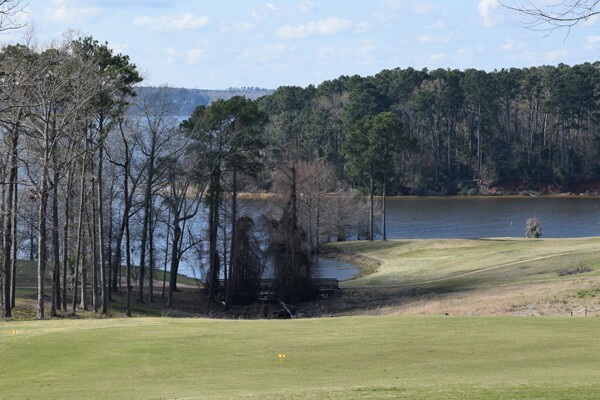 Few places preserve a sense of their own past like Fredericksburg, and I found it quite true that if you are willing to look for the unflaunted attractions of this little town, you will indeed be rewarded for the search. Carrie Allen Tipton lives in Houston, where she teaches piano and writes and lectures about classical music, American popular music, religion and Southern culture. She holds a Ph.D. in Musicology from the University of Georgia, as well as degrees in Music Education and Piano Performance. She has taught university classes on topics ranging from African American music to sacred music in the United States and classical music. Her work has appeared in Kirkus Review, Pop Matters, the Equals Record, Curator Magazine, Religion Dispatches, Black Grooves and the Journal of the Society for American Music, among other places. She has previously written Southern Soundscapes in “To Kill A Mockingbird” and “They Serve Fried in Catfish in Glory” for Deep South. 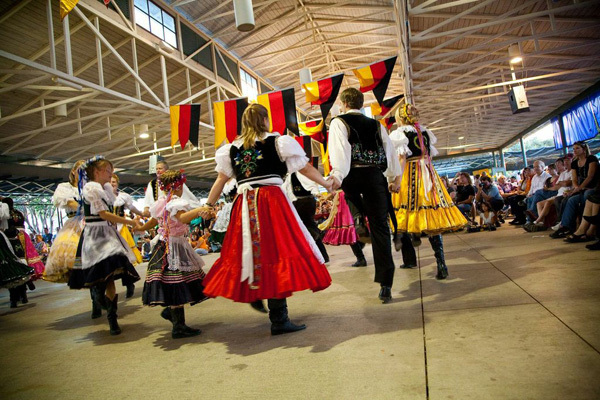 Photo Credits: Oktoberfest dancers by Steve Rawls, historic Fredericksburg courtesy of Gillespie County Historical Society and Cotton Gin cabin courtesy of Cotton Gin Village; Fredericksburg Main Street today, pie and beer taps from Facebook.